In 1933 a Pierce Arrow V12 driven by Ab Jenkins set the world record of 117.77 mph on the Bonneville Salt Flats. All told that week the Pierce Arrow V12 set 14 FIM and 66 AAA speed and endurance records in both class and over-all divisions. Established in 1872, the George N. Pierce Company made housewares. In 1896 they added bicycles to their product line and over the next few years attempted to build and sell steam cars (1900), and single-cylinder, two speed now reverse vehicle (1901), before, in 1903 building a four cylinder car called the Arrow. In 1904 Pierce decided to go upscale and build more luxurious entry in the upscale market called the Great Arrow. The Great Arrow proved to be very successful both in the marketplace and in competition having won the Glidden Tour in 1905. The Glidden Tour was a 350 mile endurance run from New York City to Bretteon Woods, NH. Like the Packard plant in Detroit, noted architect Albert Kahn designed the new factory for Pierce in Buffalo NY in 1906. In 1907 the Pierce Motor Company was sold and renamed The Pierce-Arrow Motor Car Company. 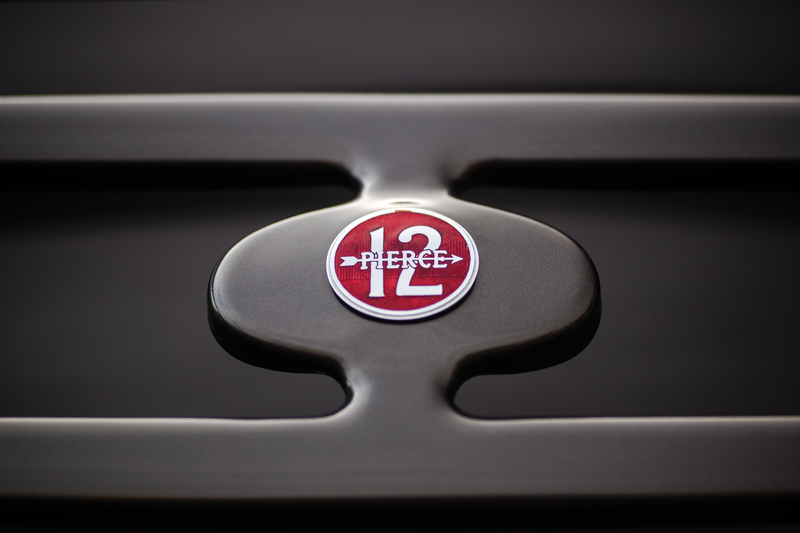 Over the next many years Pierce-Arrow established itself as one of the great marquees of the world auto market. 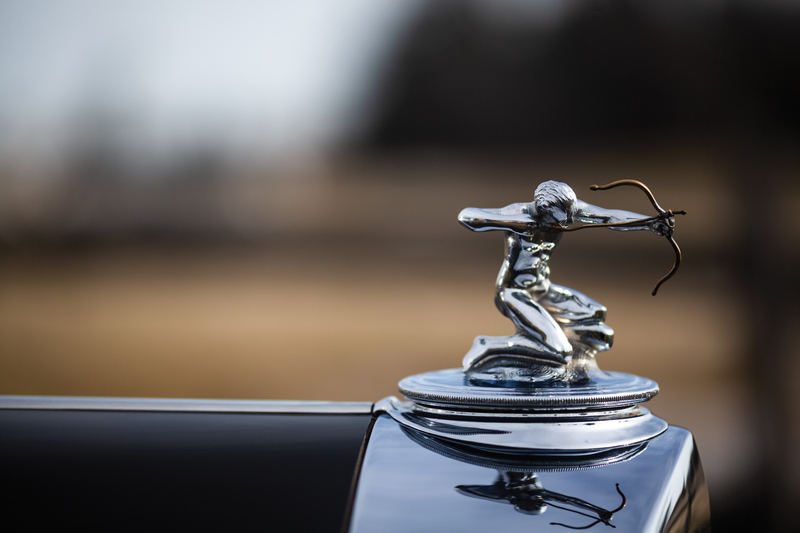 Along with Packard and Peerless, Pierce-Arrow was a member of the “Three Ps,” the alliterative triumvirate of the luxury car segment that had always featured large engines. “From 1910 to 1928, though, they had been T-head sixes. For 1929, a straight-eight replaced the sixes. It proved popular, doubling sales from the year before. 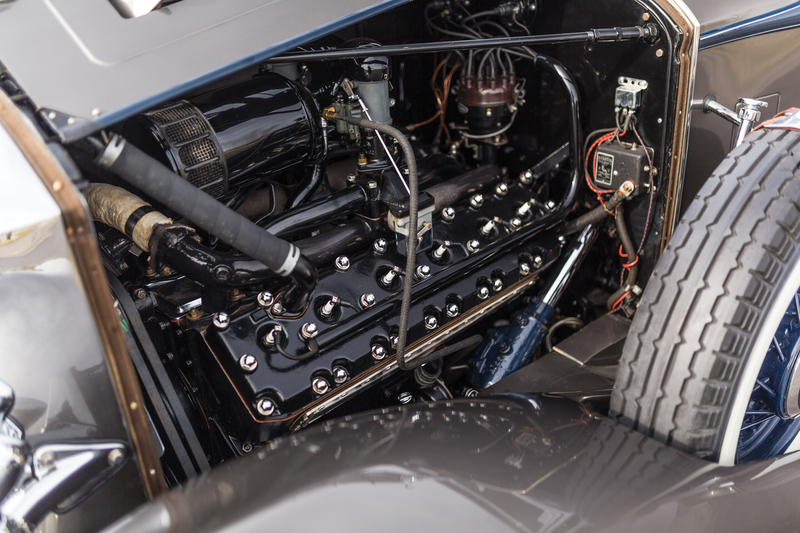 But as Cadillac, Packard, and Lincoln introduced twelve-cylinder engines, and Cadillac and Marmon readied their sixteens, Pierce, too, joined the cylinder race. Alas, sales of Pierce-Arrows continued to fall from their apex in 1929, and even the new Twelve could not keep them above 3,000. 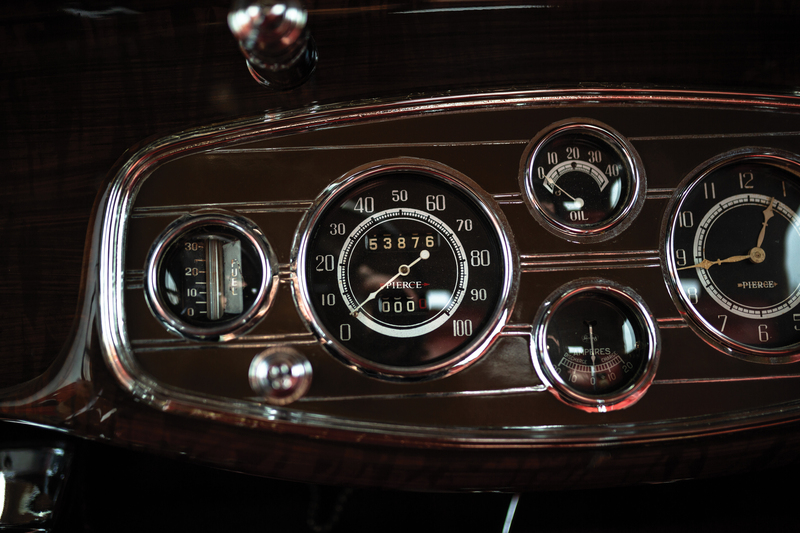 A 1928 merger with Studebaker benefited neither company, and it would soon be unraveled. 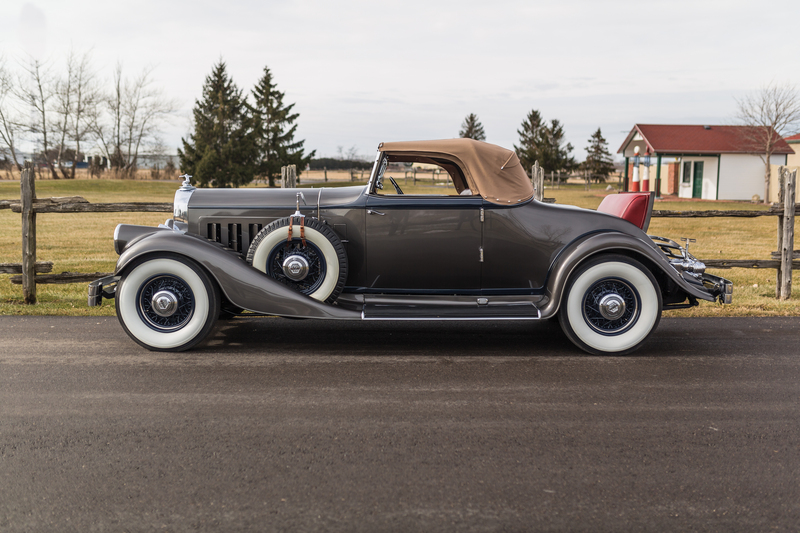 Just 1,843 Pierce-Arrows of all types were built for 1933, 118 of them in the 1242 series. 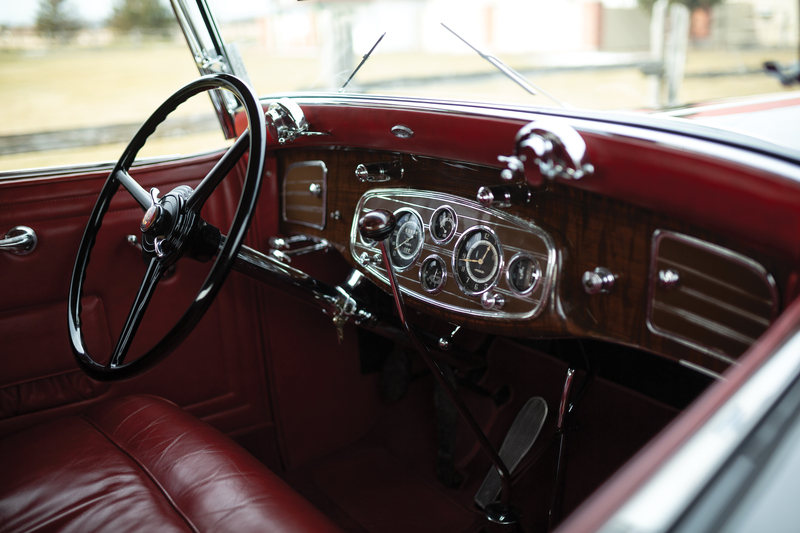 This Model 1242 V12 Convertible Coupe, now seen in the Lang Collection is one of three to survive. It was restored in California in the early 1990s by Jack Dietz for then-owner William Lassiter. In 1995 it earned an AACA National First award, medallion no. 19B0630. Canadian collector Terry Johnson acquired the car from Mr. Lassiter in 1999. The Dietz-Lassiter restoration has been carefully conserved and recently detailed. Attractively painted in a subtle grey best described as Deep Pewter, is accented with blue belt moldings that match the underbody and wheels. Dual side-mount spares sit in the front fenders, which also carry Pierce-Arrow’s hallmark headlights. 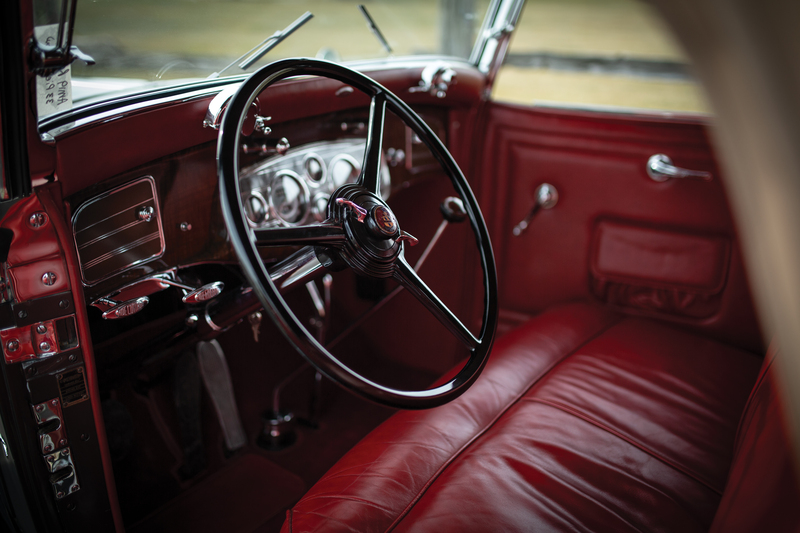 The interior and rumble seat are upholstered in red leather, with matching carpets. This car, like all the vehicles in the Lang Collection, remains tidy and runs and drives well. 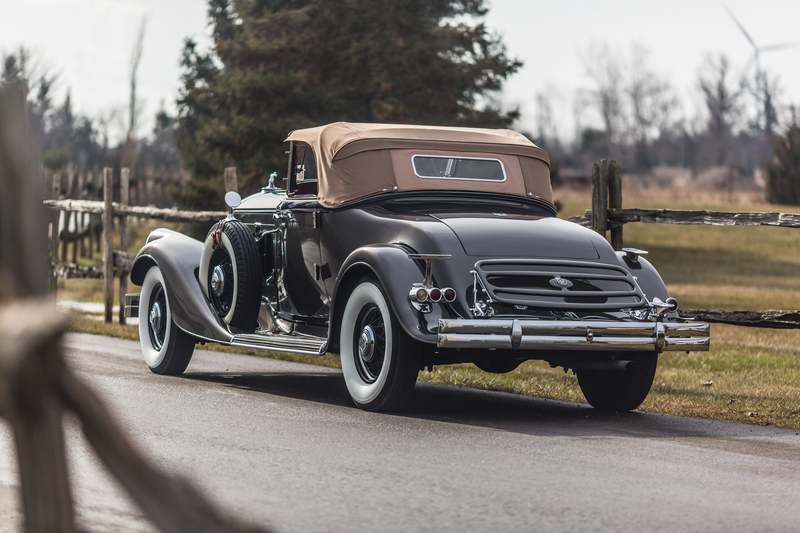 Recognized by the CCCA as a Full Classic, this twelve-cylinder Pierce-Arrow is eligible for all CCCA events, awards, and CARavan tours. 1969 CHEVROLET CAMARO 396 INDY PACE CAR CONV.